On July 16, we recorded a show with the National Youth Orchestra of the USA (NYOUSA). Our friends at Carnegie Hall bring this orchestra of amazing young musicians together each summer, and the result is pretty incredible. (You can listen to the show here, if you’d like. We highly recommend it!) The next day, From the Top staff took the entire orchestra through our Arts Leadership Workshop, led by Director of Education & Community Partnerships, Linda Gerstle. We asked Linda to share some of her favorite moments. PS: It’s worth noting that normally, a From the Top Arts Leadership Workshop has less than 20 young musicians involved. This time, there were a few more. REQUIEM! Classical Music is Dying in America! 120 members of the National Youth Orchestra of the USA debated this with conviction – from strongly agree to strongly disagree with shades of gray in between. 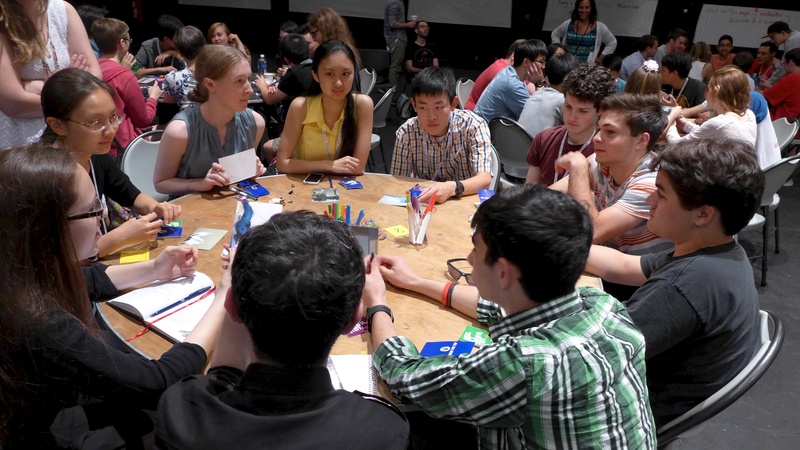 A chorus of voices engaged with the big issues at play in their world – what it means to take it beyond the concert hall as 21st century musicians, how an orchestra can be a resource to a community – an apt illustration of the overall tone of the arts leadership workshop for Carnegie Hall’s NYOUSA. It was amazing seeing everyone speak out and voice their opinions. The whole orientation really went so far to show that all of us can not only play great music but can also communicate our ideas really well! Exploring the ways music can transform lives – as individuals, small and large ensembles – was viewed from many perspectives, using an array of From the Top alumni examples. Whether raising dollars to benefit a rare blood disease like alum Stephanie Block, or mobilizing an entire community to address the gap in musical opportunities across a district’s schools like alum Thomas West, it was inspiring to watch pre-collegiate musicians tell their stories to empower others. Michael Dahlberg, an alum of the radio show and now a member of From the Top’s education team, narrated his personal journey, helping the audience to define their own version of success for themselves, envisioning the possibilities in their lives. 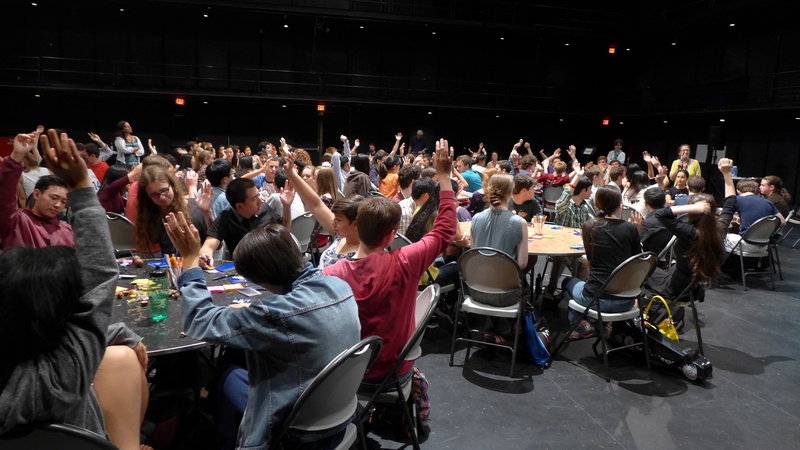 This workshop was just the beginning; with outreach opportunities built into the five week NYOUSA tour schedule, each participant was asked to take a question or thought from the orientation that they wanted to explore throughout the course of the tour. One of From the Top’s primary goals for the arts leadership workshop was to leave orchestra members feeling as excited and curious about the opportunities outside the concert hall as those that lie within. Many expressed an eagerness to take a next step – and we look forward to showcasing their leadership moments that we know will inspire current and future audiences. PS: Editor’s Note – It’s pretty clear that classical music is alive and well thanks to these young people.